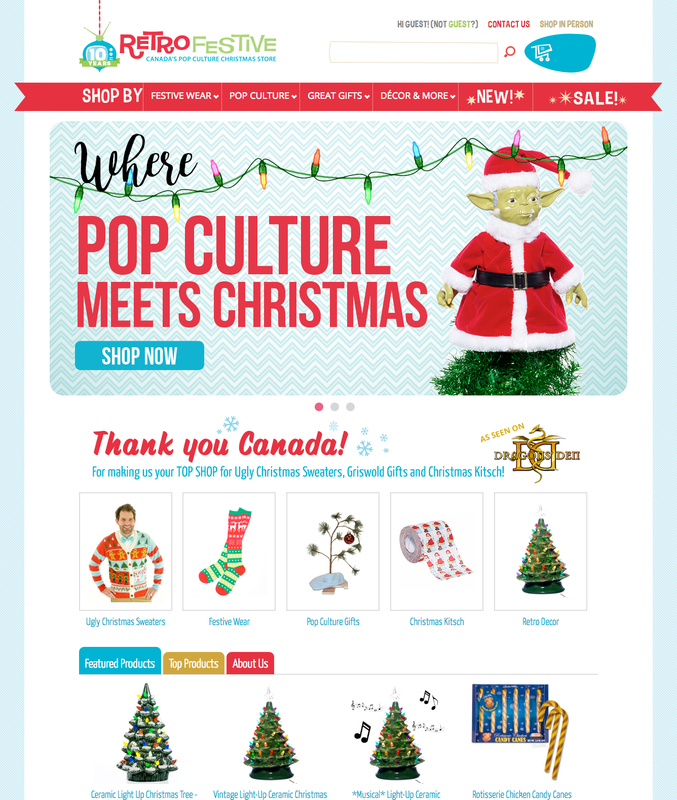 E-commerce for Canada’s Pop Culture Christmas Store. It’s been about 4 years since we worked with the incredible team at RetroFestive, but it’s still a project we’re really proud to have been a part of. We completely overhauled their brand and re-designed the website. This website uses BigCommerce to handle their thousands of crazy-cool products. RetroFestive makes kitschy look cool. They started their business back in 2007 selling Leg Lamps from A Christmas Story. When that idea took off, they introduced Moose Mugs from National Lampoons Christmas Vacation, and the rest is history. 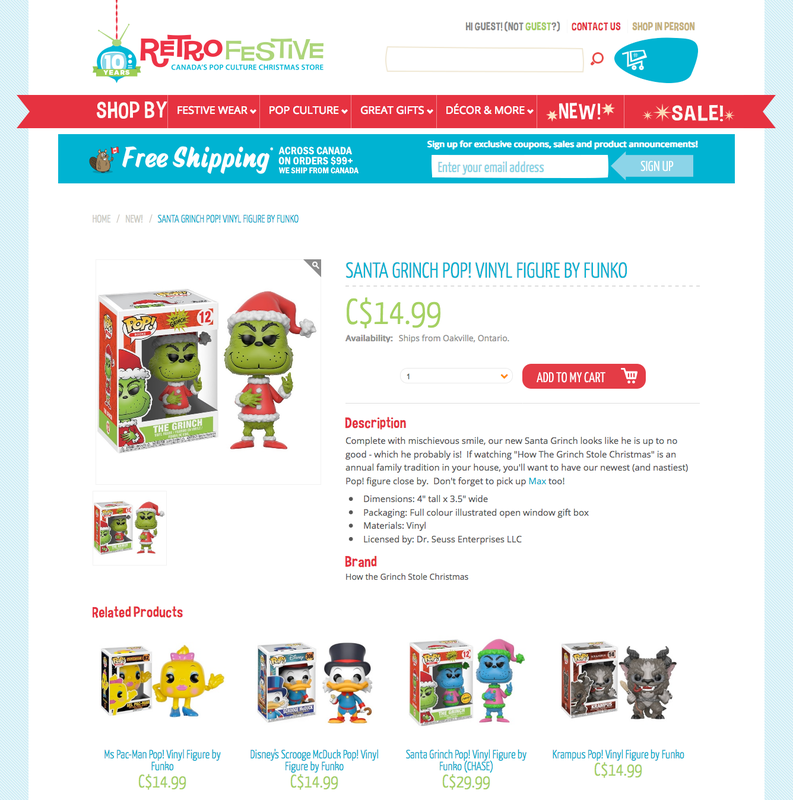 When we met with RetroFestive, they said they wanted to appeal to everyone's inner child, but not be childish. The design uses a mix of typography, some fun graphics and a color palette that is subtly festive. If you're looking for a unique gift for someone that adores a bit of Christmas Kitsch, this is the store for you.